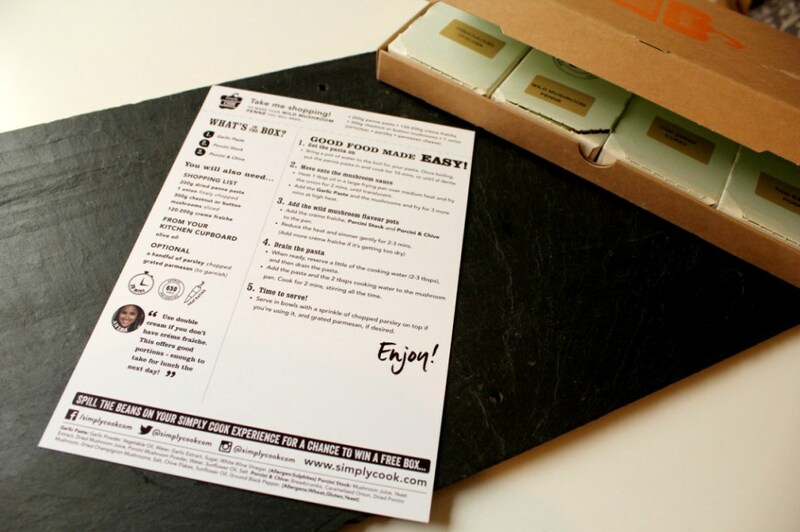 Simply Cook works by sending you a box, which includes all of the pastes, infused oils, garnishes, rubs, specialist stocks and herb/spice blends for four easy follow recipes. All you have to do is add 4-6 fresh ingredients, cook and then enjoy your meals. Each recipe serves 2-4 people depending on portion sizes. 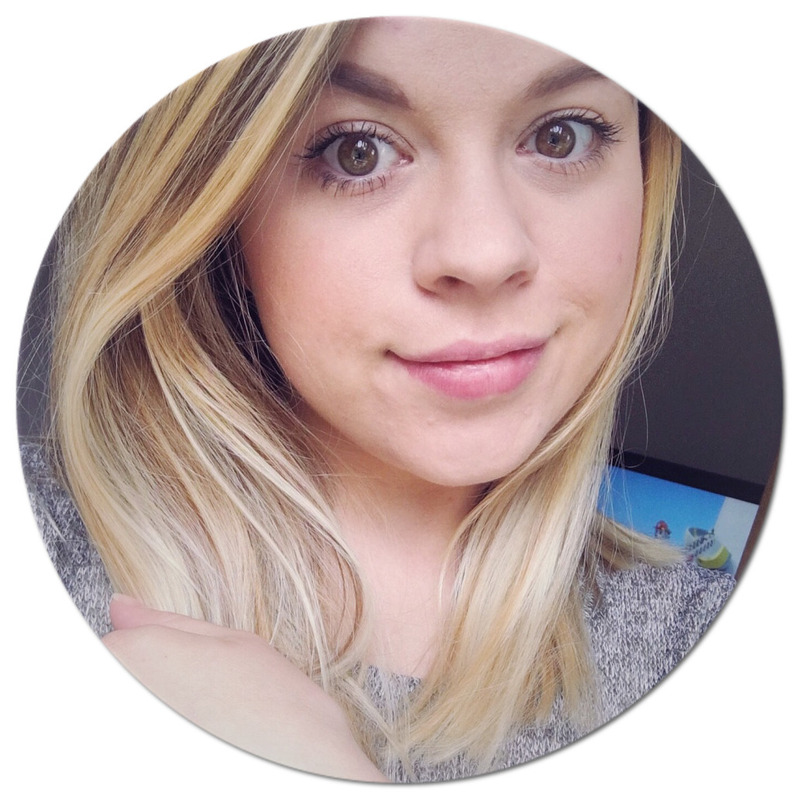 I really liked that you are able to pick recipes you would like to try, recipes you love and the recipes you want to bin and never receive. 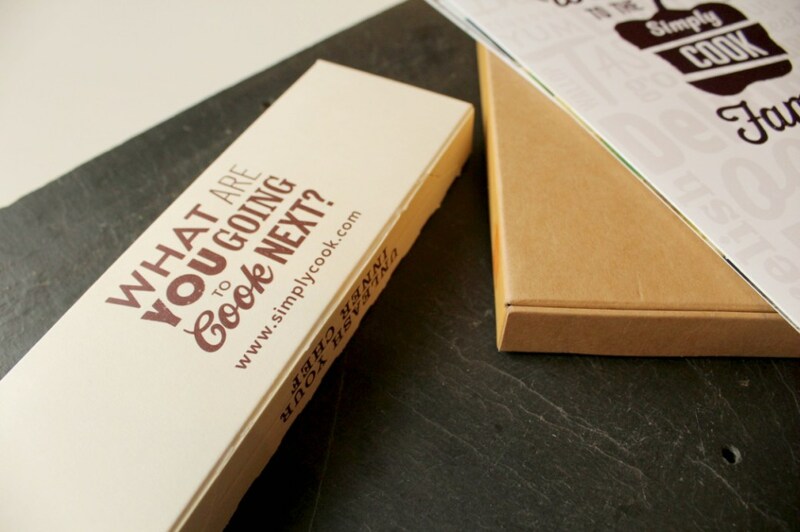 After your first box you are also able to pick and choose which recipes you are sent in your boxes. You can be really flexible with the number of boxes you order as you can have; either 4 boxes per month, one every fortnight or one per month, as well as ordering extra ones if need be. 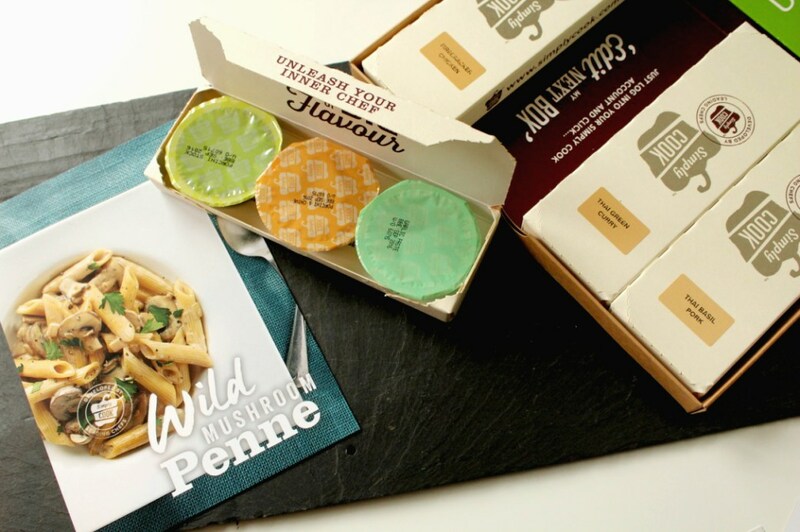 Each box costs £8.99, which means that each meal costs around £3-£6 per person, including the cost of the box and all of the fresh ingredients. 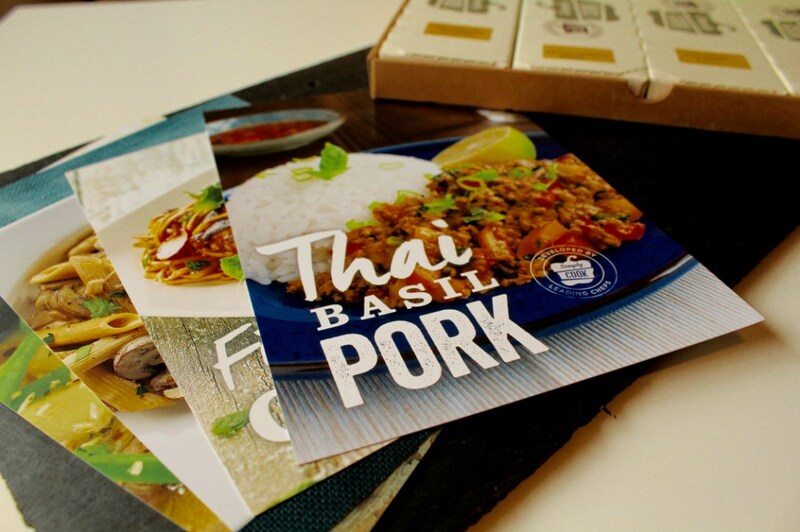 In the first box we got Firecracker Chicken, Wild Mushroom Penne, Thai Green Curry and Thai Basil Pork. Each of the recipes come with an easy to follow step by step guide, with a small shopping list as well. We have all really enjoyed having some different recipes to try out that, maybe we wouldn't of usually picked out to eat at home. I will definitely be ordering a box again. 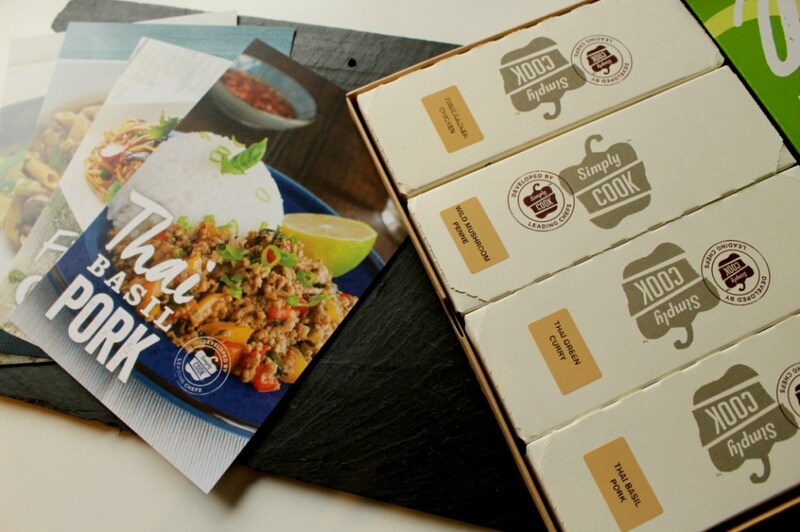 If you would like to try out a simply cook box, you are welcome to use my link below to receive your first box for just £1. £1 First Box! 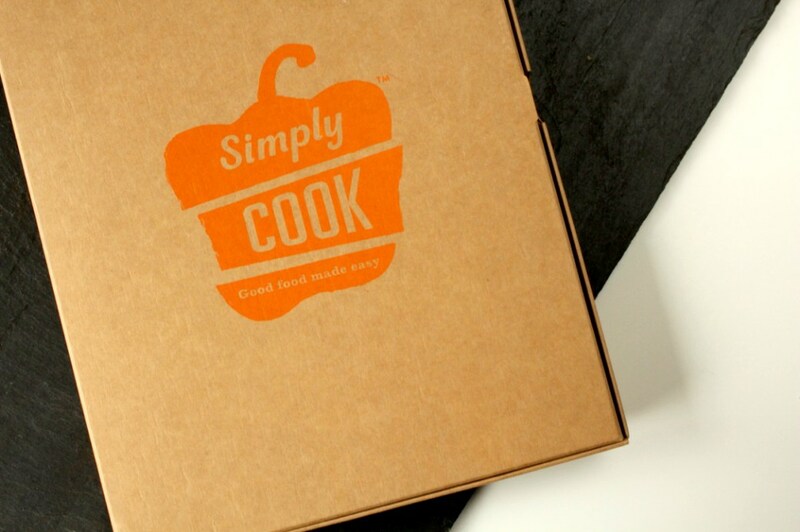 I would love to know if you have tried Simply Cook before or if you are going to be trying it out.